Rolling in the Deep Movie Coming from Pet Sematary Director | Nerd Much? If you’ve felt that Hollywood is lacking in mermaid based thrillers, you’re not alone. Luckily for us, Mary Lambert is poised to tackle the task of rectifying that as the director has set her sights on her next project, a Rolling in the Deep movie. 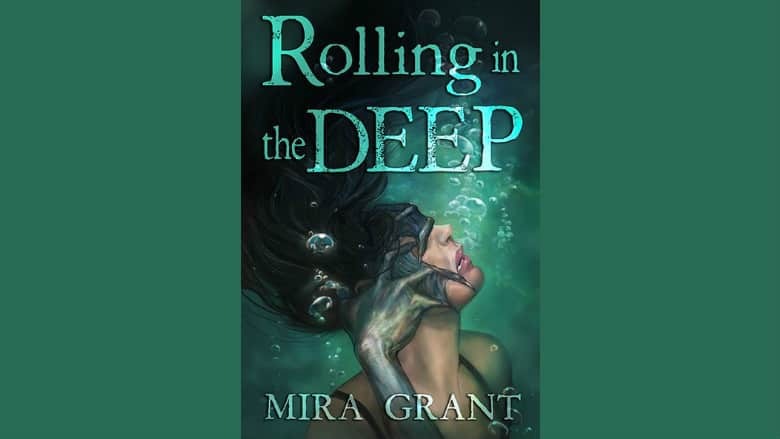 Rolling in the Deep is 2015 novel written by author Mira Grant, with Mira Grant being a pen name (and a pseudonym) for the author’s real name of Seanan McGuire. McGuire has almost 40 writing credits to her name(s) across novels, short stories, and novellas. McGuire is also currently writing for Marvel on both the Spider-Gwen and X-Men series of comics. As far as Lambert goes, the director has had steady directorial work throughout Hollywood over the course of the last 40 years. She helmed Stephen King’s original Pet Sematary adaptation in 1989 to mixed reviews. She also directed Pet Sematary Two as well in 1992. Since then she’s stuck to the horror and thriller genres pretty regularly. Other credits in the spectrum include Face of Evil, Urban Legends: Bloody Mary, The Attic, and the infamous 2011 classic Mega Python v. Gatoroid. McGuire’s Rolling in the Deep did well enough to earn a sequel in 2017’s Into the Drowning Deep. That book too fared well financially, and Branded Pictures is hoping to launch a franchise from the property. We’ll have to wait and see whether that’s a possibility once the Rolling in the Deep movie gets released.